Here is a powerful, concentrated wine whose intensity is immediately obvious. Its complex, rich bouquet is complemented by sweet, dense-packed tannins and a lively acidity, and all of its components are in admirable harmony creating a very elegant wine. Vinification and Ageing:Selecting only the best quality fruit in the vineyards, the clusters were carefully hand-picked into small, 15-kg boxes and transported to the winery where a second quality selection was carried out on a double sorting table, both before and after the grapes were de-stemmed. The grapes were then given a gentle pressing, and each separate grape variety and each vineyard block was fermented separately, for a total of 66 different base wines. 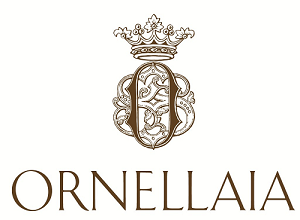 The wines remained in barriques for 18 months in Tenuta dell’Ornellaia’s temperature controlled cellars. After 12 months, the final blend was assembled from the base wines, and underwent six months of further ageing in barriques. The wine was then aged for 12 months in the bottle before release. Winemaker's Notes:The main characteristic of Ornellaia 2015 is without a doubt its lush depth and ‘exuberance’ (“L’Esuberanza”). 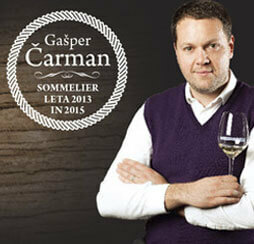 Here is a powerful, concentrated wine whose intensity is immediately obvious. Its complex, rich bouquet is complemented by sweet, dense-packed tannins and a lively acidity, and all of its components are in admirable harmony creating a very elegant wine.